Visually catching Online Catalog is a fundamental tool for gathering major targeted consumers for selling your products on e-commerce websites. The advantage of having an organised online catalogue on your WordPress e-commerce site is that you are able to reach more people than if you would have a local store. Mastering all tips and tricks on how to create an online store you will get the opportunity to turn your catalogue into a powerful promotional tool. Before taking any steps find out that you have quality images of your products for demonstrating on your online store. You need to list all your product titles, write each product features and description for your consumers for getting more info about your product (or about the functionality of the product if needed). When you take appealing photos and involve them with the basic description people will eager to buy your products. Speaking of image quality, you can take images on your own, of course, if you have a powerful camera and some skills to take photos or you can ask a friend of yours to help you find a photographer who will eager to take photos for free. After preparation of images, you need to find tools how to showcase them on your website beautifully which is one of the most important steps. Talking about building an online store you should have some experience with WordPress plugins. I will showcase the most functional and beautifully designed plugins for creating an online product catalogue. 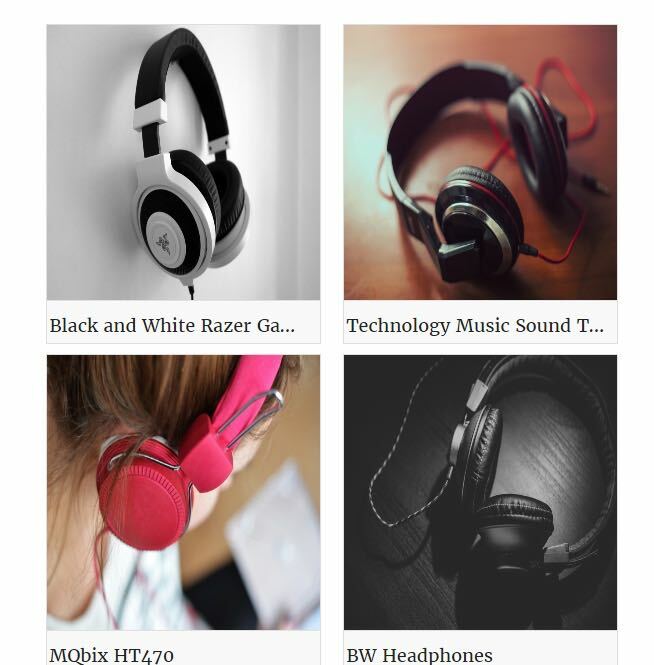 Product Catalogue, created by Huge-IT, allows you to insert an unlimited number of images and build a huge number of galleries on your WordPress website. The plugin is very simple to upload and use. You need to open Catalogues then press Add New Catalog and start uploading your beautifully created images. Huge-IT Catalog provides the functionality to add main image and thumbnail images to show your product from various angles. Then turn comes to fill in all the details about your products, the type, condition, colour, brand, segment and describe the product for the consumers. The description should not be longer not to make customers bored but give all the necessary info about the products. 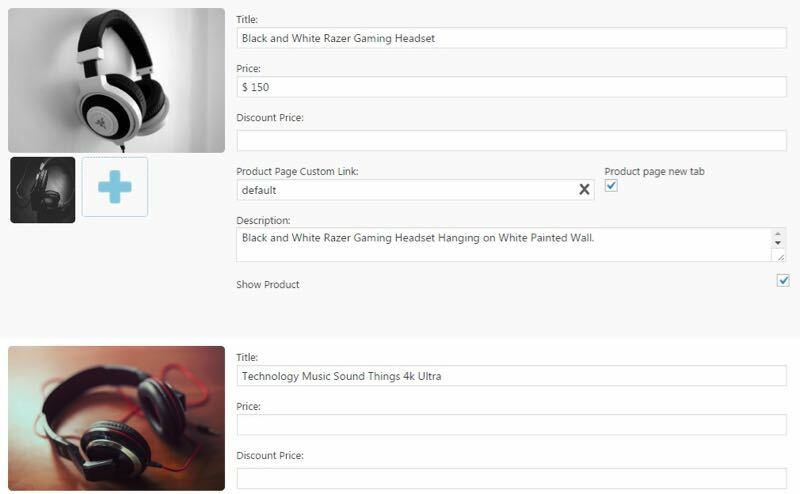 You can add the price for products and when you have discounts then write the discount price next to each image from your backend. Plugin involves comment section for engagement with your customers, visitors can ask their desired question and learn additional info from your products. In addition to this, Comments/Parametres section can be disabled from Product Options section. After adding images to the product catalogue and writing a description for each product you can easily expand your catalogue by sharing them on socials. Switching catalogue search will allow your website visitors to search by your product name. There are five elegantly designed views to apply them to catalogue images. Zoom option is created to enlarge the images to explore each minor things on your images. Product Catalogue allows to contact you with the help of Contact To Seller button, your consumers can send a direct message and ask questions how to receive the product and much other info they would need. Clicking on General Options you are able to manage the mailing system with your customers, activate Contact Seller Button, write an email to consumers, and translate several labels into other languages. There are Comments and Rating Manager sections, where you manage and edit them on your own way. Clicking on Catalog Options you will have a chance to see all five views and start modifying the look of your catalogue images, e.g; change image size, enable/disable Product Button, Thumbnails, Price Button, description and use many other tools to design the appearance of your product catalogue on your taste. I would love to introduce another plugin which does work well. WP Catalogue is prepared to create an online catalogue for demonstrating the products you own. I have selected this plugin as it provides a user-friendly interface and the creation process of online catalogue is simple. There are two ways of adding images to the catalogue one is using media library and another is adding from URL. As I have mentioned you need to write the info that would need users to learn about your product in order to make a purchase one of your products. 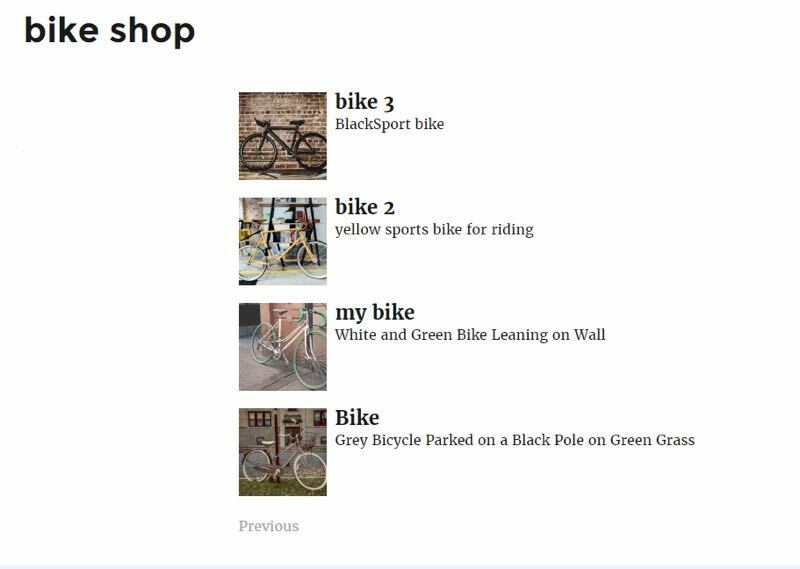 There is a Category section, which looks like WordPress standard category, it allows you to create categories for products.Opening Order section you are able to manage all your ordered products. 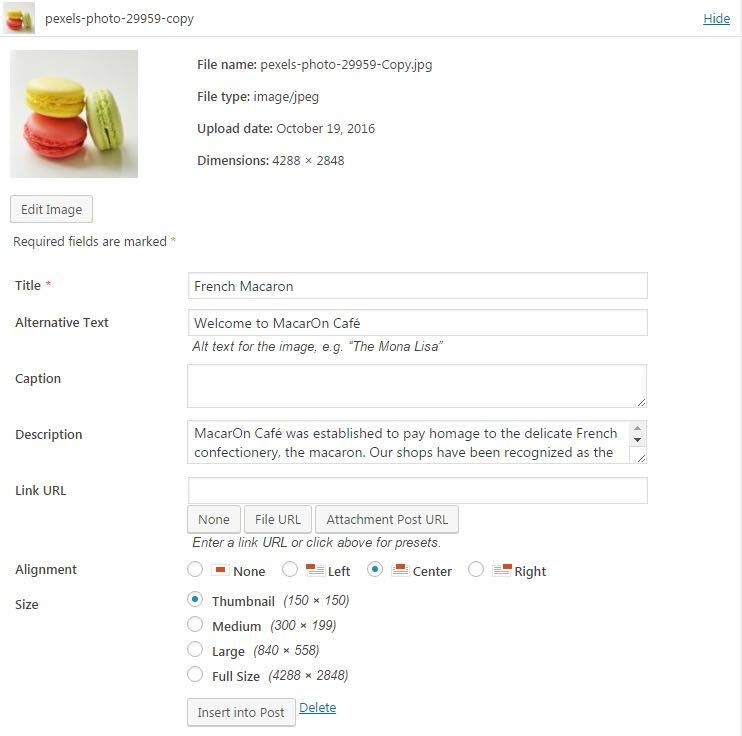 WP Catalogue Settings involve many options to apply on catalogue images like change main image and thumbnails size, select pagination amount, enable next/previous links. Except free there is a paid version of the plugin, which provides responsive design, the ability to add an unlimited number of photos, enable/disable side menu and many other useful options to get the best results. Glad to suggest another interesting plugin with its functionalities and point out the advantages of CataBlog plugin. After the procedure of installation, you need to login into the plugin author’s website that is productions and makes a connection with their website. The process you need to take is as follows open CataBlog on your backend go to Add New where you will be able to insert all your high-quality images, describe the main features of each product if you sell them right price and titles and products selling codes. 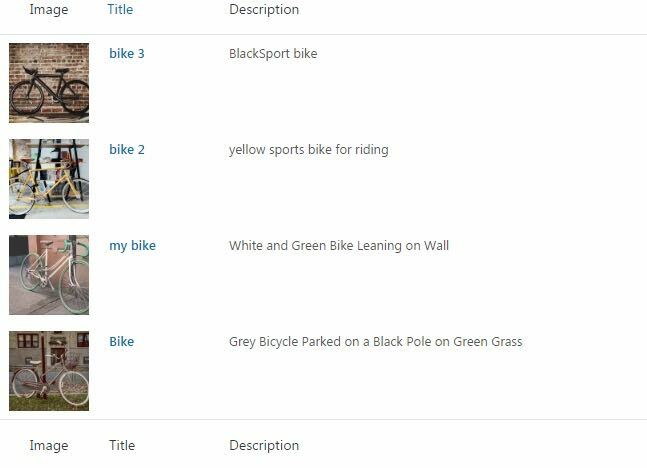 Library section is meant to show the whole image lists with detailed info. After uploading, all your images go to Templates and apply one of the templates for showcasing product images beautifully. Options section gives a huge variety of settings, you can enable lightbox by putting a check mark next to Enable Lightbox and change the Lightbox size into another one.You can Import and correspondingly Export all your data in various formats. On Gallery section, you can create a new gallery, write a description for that gallery and copy the shortcode and paste it to your WP website. The good looking appearance of your created online catalogue will be only beneficial for you. As it will only promote selling your products. People inclined to buy the products which are beautifully represented, with beautiful images and slides. Your products should provide the title, description, ability to expand your online catalogue on social networks. For selling your products will help WordPress plugins, which aims to showcase your products to global masses. There are thousands of plugins available in WordPress repository to select. I suggest the plugins which I have used on various websites to get the user-friendly and attractive online catalogue. The Catalog plugin which you select for displaying the images of products you sell on your website needs to have good functionality and provide an attractive design. Each above-mentioned catalogues have their unique way to demonstrate and function your products. Try free versions of them and share with you experience with others.